A few weeks ago I had a non-working Wednesday so I decided to trot down to Home Dining Room by myself for a spot of late brunch. 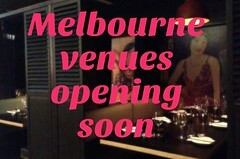 You'll find it on Burwood Road Hawthorn, just near Auburn train station. It's a quiet neighbourhood with a sprinkling of shops (including a COMPLETELY fabulous-looking lights-and-neon-bedecked shop called The Seventh Art (573 Burwood Road, Hawthorn, 9818 6177)... as well as selling hard-to-find movies, movie collectibles and books on movies, art and design, The Seventh Art also rents out arthouse and hard-to-find movies. It's been open just a week - I haven't allowed myself in there yet because I know I'd spend my New York savings if I did, but the film geek in me is really looking forward to spending an afternoon there when I get back to Melbourne in July). When I do arrive back in Melbourne and revisit Auburn Village, I'm also looking forward to returning to HDR to sample more of their menu - but I'll find it hard to go past ordering the same brunch again because it was SO GOOD: prosciutto, baked asparagus, parmesan and rocket topped with two poached eggs and dukkah ($14). 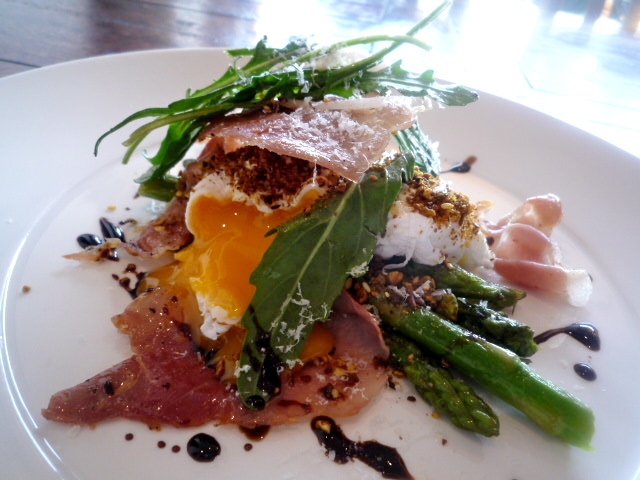 Check it out: the asparagus was wonderfully fresh and the eggs had been poached perfectly. 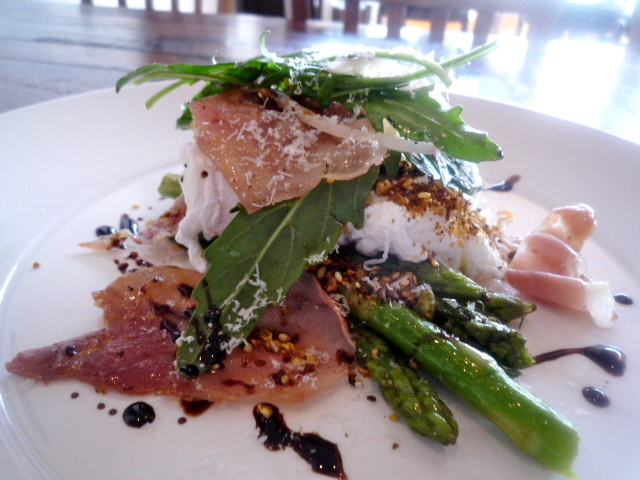 The slightly crispy prosciutto, nutty dukkah and dabs of balsamic reduction finished off a thoroughly delicious dish. I was first introduced to HDR by my friends Gen and Andrew, as Glen McLeod (the owner and front-of-house man) previously worked for them at Auction Rooms before setting up his own place in January. Glen has a lovely quirky sense of humour, and takes great care of his customers. 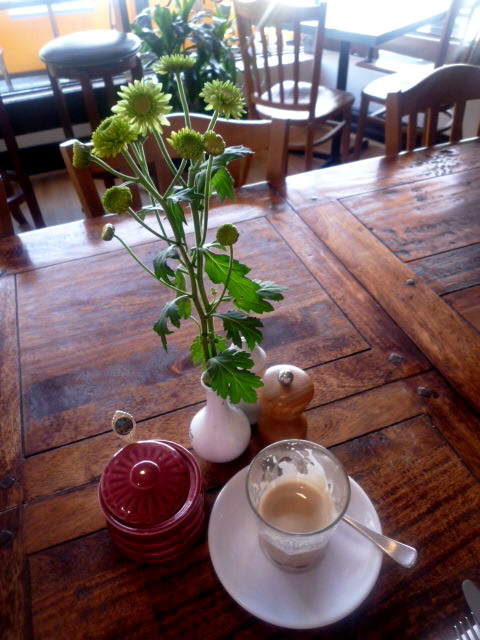 The venue itself has a warm, rustic vibe - loved the polished wooden table at the front - with a nice attention to detail and quality. The chef (the rather dishy Jeremy Fritchly, ex-Orange) is originally from New Zealand, as is Glen: and I noted with approval at brunch that music by the Kiwi band Sola Rosa was being played. 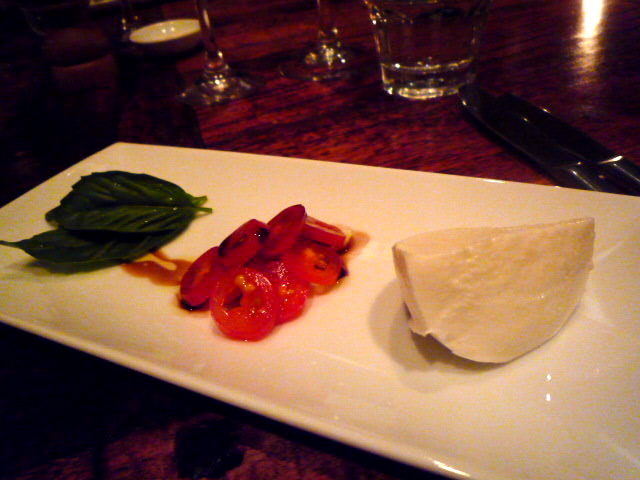 Poached quince, poached quince, poached quince. Seriously, is poached quince just the best thing ever, or what? 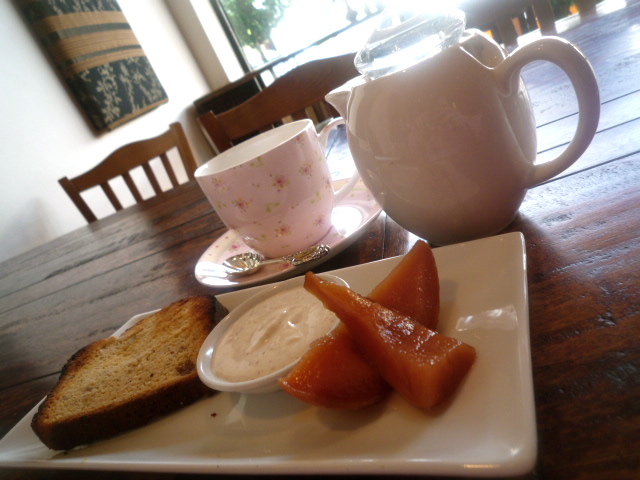 'Tis the season for poached quince and I adore it. 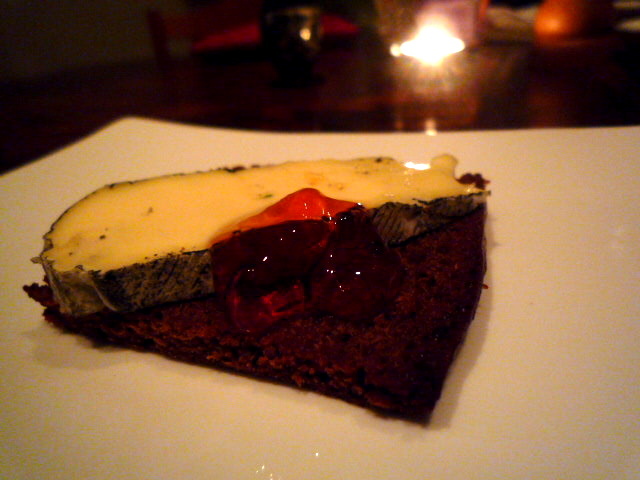 Tempted as I was by the quince special, instead I ordered the homemade banana bread with poached quince and spiced yoghurt. 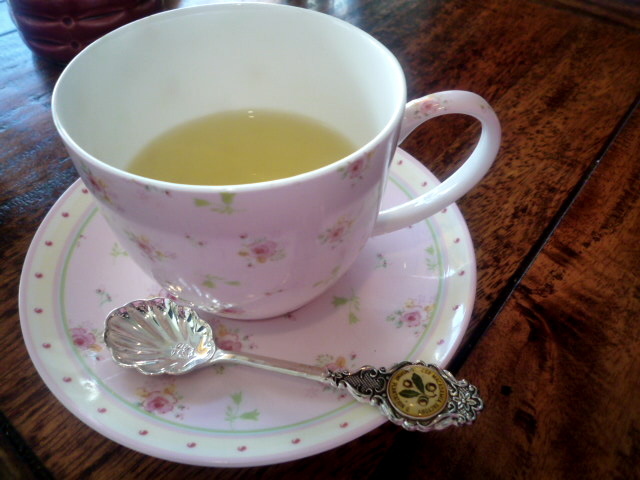 To accompany the brunch dessert, Glen suggested I try a teapot of Sukurambo Vert, a cherry-flavoured green tea from Lupicia. We then took turns saying the word "Sukurambo" to each other in dramatic, raspy voices. Try it, it's fun. 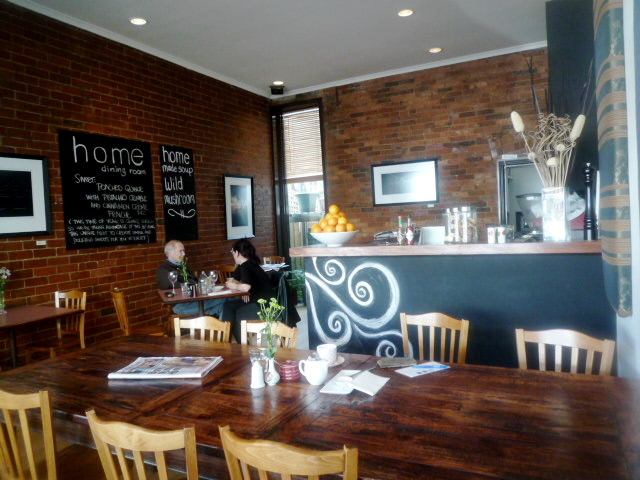 As well as being a great breakfast and lunch cafe, HDR is also open in the evenings. 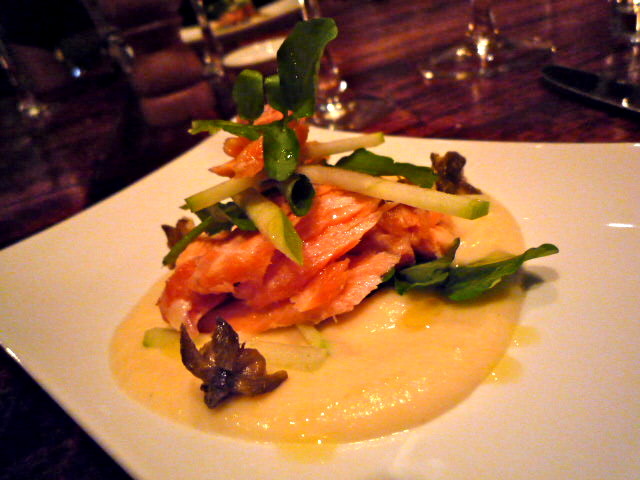 Gen and Andrew invited me and best-friend-K there a little while back for a fabulous degustation dinner. Not all of these dishes are on the current menu (and some have been modified), but these were our culinary highlights: first, a simple Caprese salad of buffalo mozzarella with baby roma tomatoes and basil; then home smoked ocean trout on a cauliflower puree with matchsticks of apple, truffle oil and "popcorn" capers. 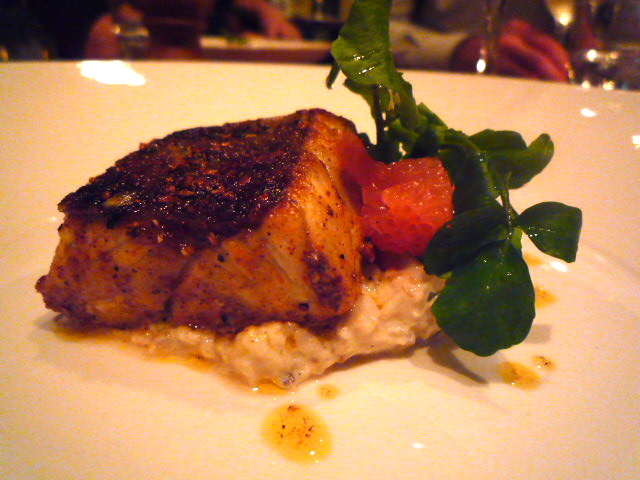 We also had ras-el-hanout crusted barramundi on a bed of (achingly good) homemade baba ghanoush; then a filo parcel containing pumpkin, porcini and Meredith goats cheese risotto, on creamed spinach. 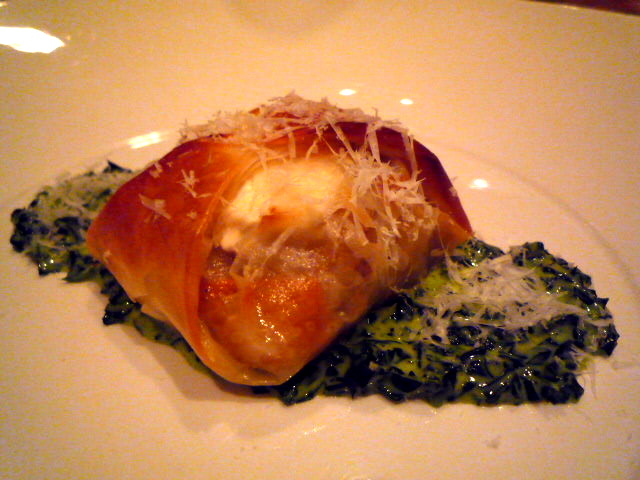 Truth be told, I was a little dubious when the filo-wrapped risotto came out but I was pleasantly surprised at how well it worked. 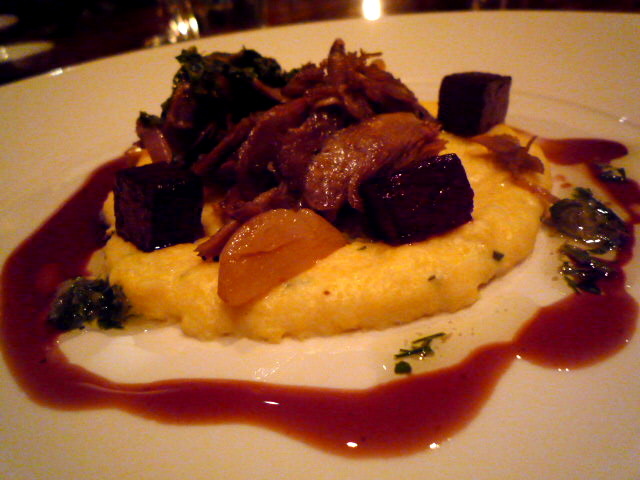 Next was the confit duck leg with celeriac puree, roasted beetroot cubes and red wine jus. The first of the four (!!) 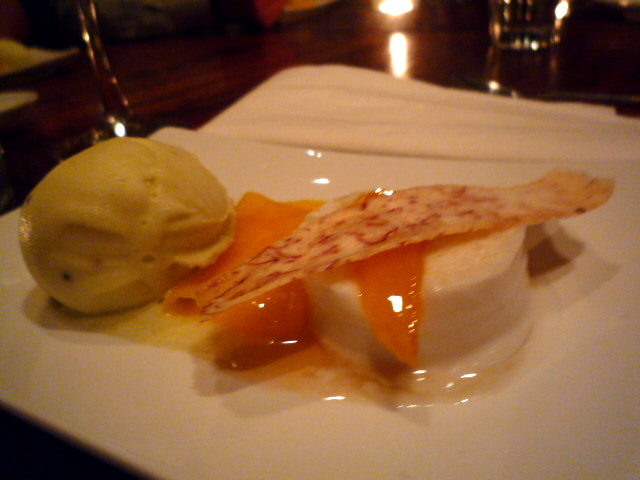 desserts was a not-too-sweet coconut pannacotta with seared mango, taro chip and kiwi fruit gelato. 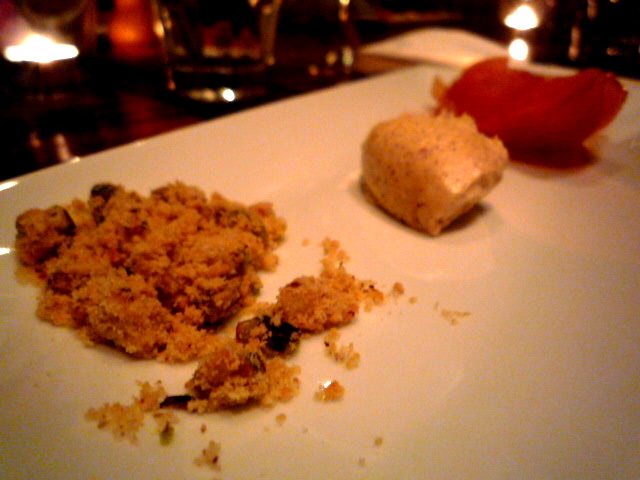 Getting back to the quinces, we had a deconstructed crumble with poached quince and cinnamon mascarpone, then were finished off by a wicked sliver of Rochebaron creamy blue and quince jelly on toasted gingerbread. Quince heaven! That looks fantastic, I must go - and someone has finally found a worthwhile use for dukkah! (IMHO, dukkah is the most popular substance never used by ANYONE - Rivaled only by olive oil for propensity at farmers markets, everyone seems to buy it, try it, then leave it in the back of the cupboard and never use it again... come on, we've all done it). Yum - that brunch looks sensational. I must visit! And Seventh Art looks awesome! Oh quince... I do love you. I just have to say though, that having grown up and gone to school about a block from the Auburn shops it is so so weird to read something that would make me want to go back there. In my days Pelican Seafoods (fish and chips) and the Italian deli (crusty white bread and artichoke hearts) were the only culinary landmarks. Oh suburban Melbourne, you sure have changed. I always drive past Burwood Road, but have never noticed this place. 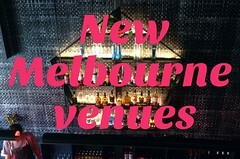 I do notice the (I think) 3 new places with the neon signs - very eye catching! I will have to check out the brunch. Hi Simon, glad to hear you too had a positive HDR experience. That Japanese beef salad sounds good. Hey Esz, thanks for dropping by - let me know if you visit the Seventh Art before I get back to Melbourne! 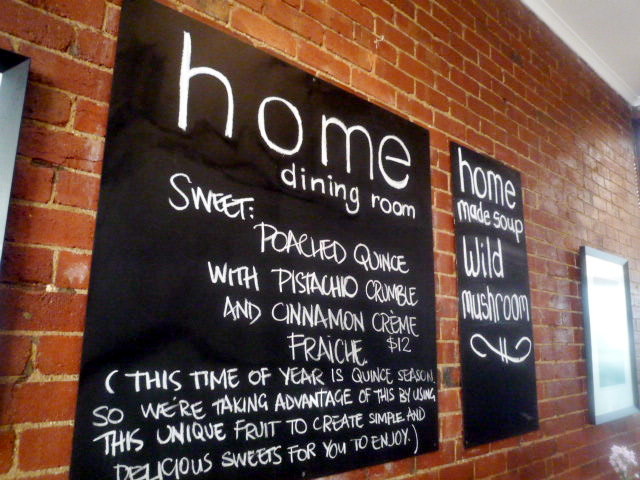 Hi Sally Anne here, I too have had an awesome meal at HDR. I remember distinctly the chocolate tea in beautiful china cups to finish off our meal!! Well done HDR cant wait to come back. Food looks great - can't believe I haven't seen this place before. Need to try it! i had the best brunch ever- a brekky stack with wonderful kipfler potyaoes and oozey eggs. 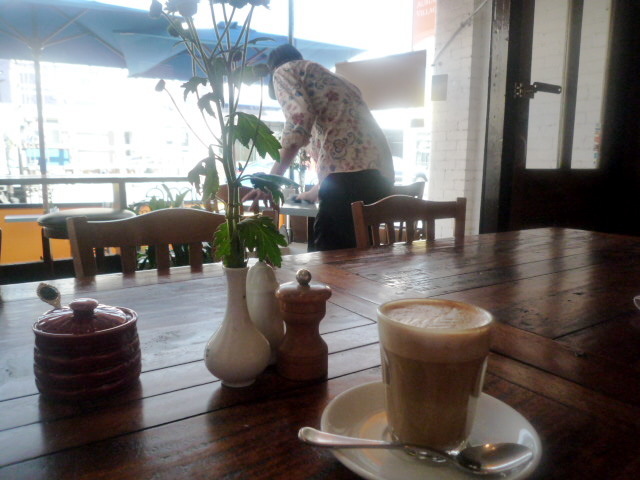 but the best thing i saw was the wonderful chef- very very nice young guy from Canberra/London/Hong Kong. what a find, and the food while delicious fresh and perfectly cooked- was still value for money-such a good find! !my local- i love it!!! !